A lot of people pleasing takes place in the office, especially when it comes to the boss. Most employees want to make a good impression not just to earn the title of “great employee” but to score brownie points for moving up the ladder one day. When it comes to a higher authority level, we wouldn’t think of saying no. Sure, that extra project means I’ll have to stay twice as late at work this week and cancel other things I had planned, but no isn’t an option. I had a family trip planned this upcoming weekend, but since you really need me in the office now I will have to reschedule it because I cannot imagine saying no to the one in charge. Although you don’t want to make a habit of saying no to your superiors, you also want to ensure you aren’t being taken advantage of. 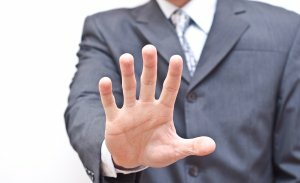 Below are four steps to take when the time comes to say no to your boss. Think about your reason(s) for saying no. You cannot say no to a requested task simply because you don’t feel like doing it. Many people don’t feel like waking up early, driving to work, staying eight plus hours and doing the same thing the next day, but they do it because they have to. Your reasoning should be justifiable. If your boss’s request made you feel uncomfortable or immediately produced questions for you, try to figure out why before saying no. Evaluating your reasoning will help provide justification once you do refuse his or her request. Weigh the pros and cons of saying yes and saying no. Write out all the consequences that could follow if you complete the task and all the consequences you could face if you do not. What are the advantages and disadvantages? How will doing or not doing the task affect you in the future? Also, think about how you will feel if your boss asks you to do the same thing again and if you’re willing to suffer the ‘yes-or-no’ consequences once again. Prepare your response beforehand. Research (if possible) evidence that helps support your refusal of the task. For example, the employee handbook or company mission statement. Choose your words carefully and practice what you will say and how you will say it with a family member or friend. Be prepared to follow up your answer if your boss becomes persistent or tries to threaten or force you into the task. The important thing is to exude confidence and show your boss you thoroughly thought about your no answer and are committed to it. Offer alternative options. Perhaps you know of someone else who would be a better fit for the task, or maybe you can complete the task at a later date. Provide a few alternatives and/or try to come to a compromise unless you flat out do not desire to do what you’ve been asked to. Alternatives and compromise ease the sting of a full no, to a not right now.